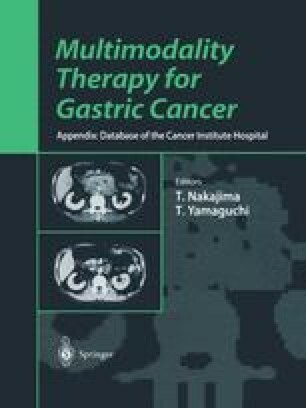 Recently the treatment results of gastric carcinoma has improved because of the increase of early gastric cancer, however, the mortality is still high among patients with advanced disease even those in whom radical resection is possible. Radical surgery with lymph nodes dissection is still the mainstay of therapy . On the other hand, metastases were high frequently found in the distant lymph nodes, such as paraaortic lymph nodes . In view of the numerous possible pathways of lymphatic drainage from the stomach, complete dissection of these lymph nodes is virtually impossible. Locoregional recurrence represents a major pattern of surgical failure in patients who have undergone anticipated curative resection [3,4].